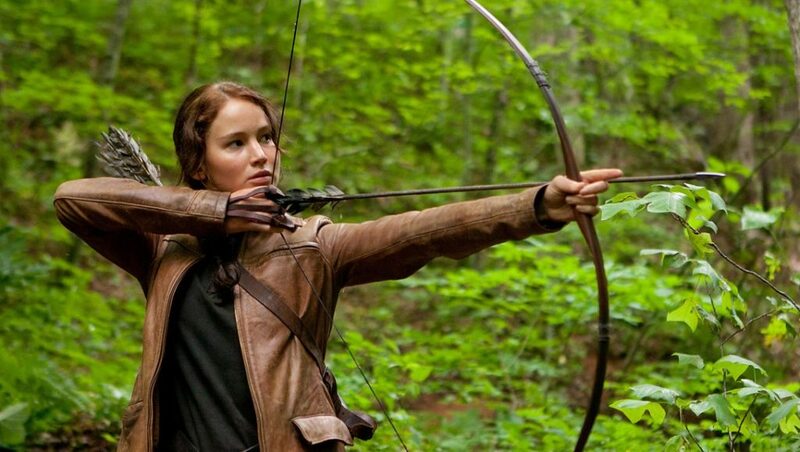 People talk about how ‘empowering’ movies like The Hunger Games are. I’m not so sure. Seems that in Hollywood, dystopian rebellion is the flavour of the month. Like this Hunger Games thing I’m seeing everywhere. Or Divergent. Or 15 other titles in the past two years. I was talking to my friend about it. She says it means we’re ripe for a revolution. In all of these stories there is a band of plucky rebels bravely resisting their oppressive over-lords. Think Star Wars and the Rebel Alliance, just with more body-hugging leather. She says that means that people are fed-up with the current system and are ready to rise up. I’m not so sure. I’m certainly not about to sell out of my portfolio and buy a stylish beret and a Kalashnikov. I would agree that these films tap into a deeply felt sense of disaffection with the “system”. I’d agree that many people feel disempowered, and that they are unfairly buffeted by factors outside of their control. They feel that the system doesn’t care about them. They’re probably right. But it’s a long way from there to a revolution. For starters, the politics of movies like the Hunger Games is deliberately vague. Who is oppressing our plucky rebels? Is it the tyranny of big government? Is heartless corporate greed? Is it dogmatic religion? Is it a soulless materialism? And that means that whatever your politics, you can overlay your gripes with the ‘system’ onto the dystopian world Hollywood has given you. And with that comes a lovely sense of righteousness. See, told you so. That’s what happens when government is too big / too small. Hollywood have found a formula that appeals to everybody. No matter what you think is wrong with the world, here’s an outlet for your frustration. And so it seems very unlikely to me that Hollywood is out there deliberately fanning the flames and sowing the seeds of revolution. Hollywood is just following the money. Nothing new there. The other thing I’d say is that all these films started as books for young adults (that awkward moment when you realise you must be an ‘old adult.’) That is, they were written for teenagers. And so are they really stories of political struggle? Or are they just stories about teenagers being awesome and sticking it to their controlling parental figures? Are they just an outlet for teenage angst? … Angst, wrapped in the cloak of fighting for a better world so it doesn’t just sound like first-world whining? If there is something new here, perhaps it is that books and films designed for teenagers should be so popular with old adults. Does that mean our adults haven’t grown up? Are they stuck that disempowered teenage no-man’s-land – resenting the controlling factors in their life, but unable to take responsibility for their own lives just yet. Sadly, I don’t think everyone grows up. And by that I mean, not everyone gets to that stage in life where they are fully ready to take responsibility for their own lives. That stage where you own everything that happens to you – the good and the bad. You own your experiences and you own your responses to those experiences. There’s no one there to ask for a helping hand, and there’s no one to blame when things go wrong. Life can be cruel and unfair. But as an adult you’ve just got to roll with the hand you’ve been dealt. If the Hunger Games and so on were genuinely a critique of the establishment and the forces that would keep you in wage slavery for 50 years and then drop you into retirement with 100 grand and a negatively geared weekender, it might be one thing. But I don’t think that’s what they’re doing. Rather, they’re letting us live out teenage fantasies where we fight back at the injustices of life (through blunt violence and unchannelled emotion). This is seductive. It feels like we’re doing something. It feels like we’re taking control. But then we leave the movie theatre and we’re right back where we started. Bobbing about like a cork in an ocean – driven by whichever current of life grabs us. This is not the empowerment I believe in. Yes, life is full of cruelty. Yes, there are people who are selfish and greedy. Take it on the chin and just get on with the business of creating the life you want. Step by step. Investment by investment. Slowly create the best future you can. This is the empowerment I believe in and the message that I’m preaching. And if I have to dress up in body-hugging leather for people to listen, by golly, I’ll do it! Can empowerment be the new revolution?